Chemical Storage Tanks | EGM, LLC. PE tanks for neat chemical storage, intermediate storage and dilute chemical feed systems from EGM feature turn-key construction. The tanks come equipped with all required fittings, valves and associated instrumentation (such as level indicators and switches) and can also be built with internal drop legs or distribution manifolds as required to best match the intended use. 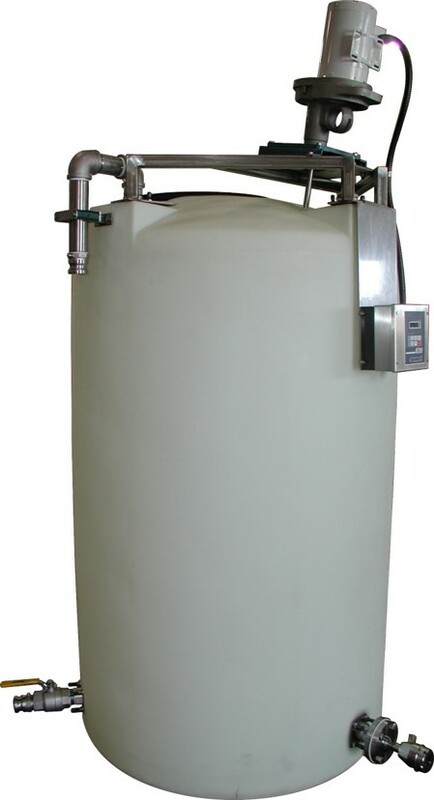 Tanks are available in a wide range of sizes, up to 12,000 gallons and can be configured to integrate with other EGM supplied units.